A major cause of burnout is the bad business that gets brought into the rent roll all for the sake of 'growth'. Often, it’s what you say ‘no’ to that will determine your rent roll quality success. 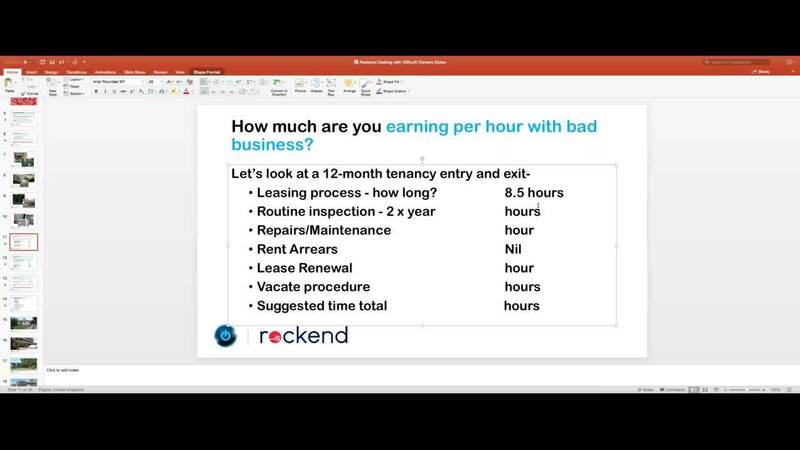 Together with Inspired Growth Training, we bring you this complimentary webinar on how to avoid bad business in order to grow a quality, profitable rent roll, one that everyone will be happy and proud to work in. And, to help apply what you learned in practice, we've also added complimentary resources available for you to download below. Tips and keys to predicting bad business and stressful situations before they occur. 8 totally wrong property types that must be avoided that PMs sign up all the time. The 6 irrefutable criteria of a ‘c-class landlord’ and why/how you could be earning around 25% per hour of what you would be with a ‘normal’ or regular management. Stay up to date on all our products, and also up-skill yourself in other non-software related areas with our range of free webinars every month. View our upcoming webinars and register now.